Rakhigarhi is a village in Hisar District in the state of Haryana in India, around 150 kilometers from Delhi. Spread over 350 hectares, this nondescript village is biggest Indus valley Civilisation site in the world, a city that was much larger and more ancient than Harappa and Mohenjo-Daro sites. It is situated on the dry bed of the river Sarasvati, which once flowed here and is believed to have dried up by 2000 BC. It is the only place which has the remains of early, mature and late phase of Indus valley Civilisation at the same location. 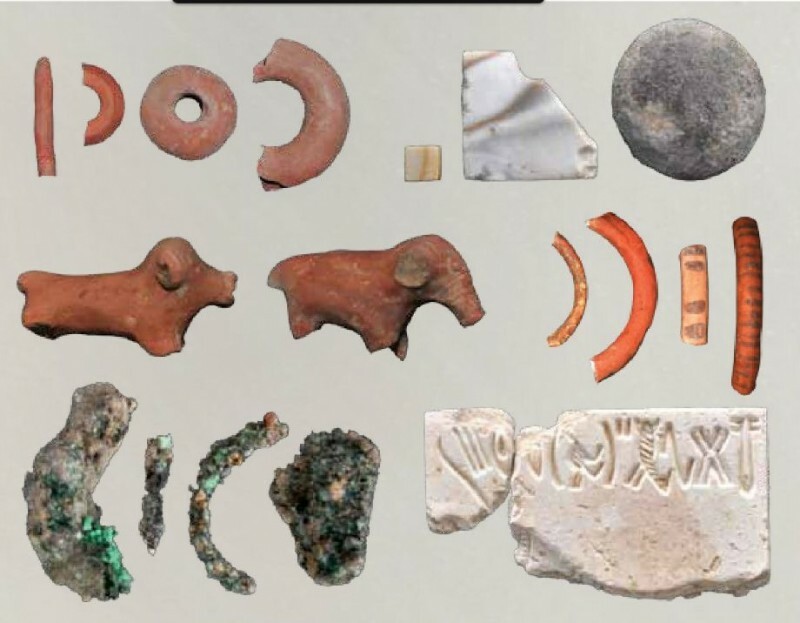 It is one of the few Harappan sites which has an unbroken history of settlement—Early Harappan farming communities from 6000 to 4500 BC, followed by the Early Mature Harappan urbanisation phase from 4500 to 3000 BC, and then the highly urbanised Mature Harappan era from 3000 BC to the mysterious collapse of the civilisation around 1800 BC. 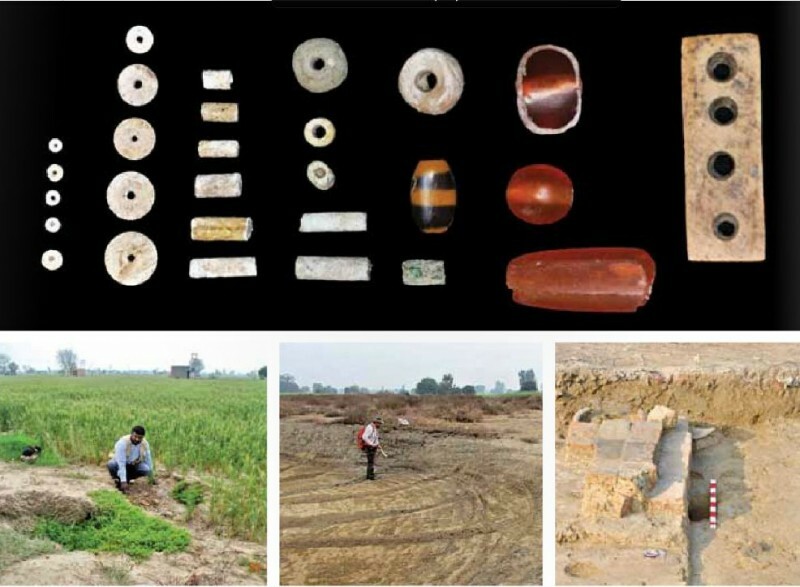 In January 2014, the discovery of two new mounds at the ancient Harappan site of Rakhigarhi makes it the largest known site of the Indus Valley civilisation. Until now, experts believed that Mohenjo-Daro in Pakistan was the largest among the 2,000 Harappan sites known to exist in India, Pakistan and Afghanistan. With the discovery of two more mounds, adding to the seven mounds already discovered, the total area of the archaeological site of Rakhigarhi now measures 350 hectares. The eighth and ninth mounds, spread over 25 hectares each, are situated to the east and west of the main site. Archaeologists also found numerous artefacts, some around 5,000 years old. Terracotta statues, bronze artefacts, copper fish hooks, terracotta seals a bronze vessel decorated with gold and silver were found here. 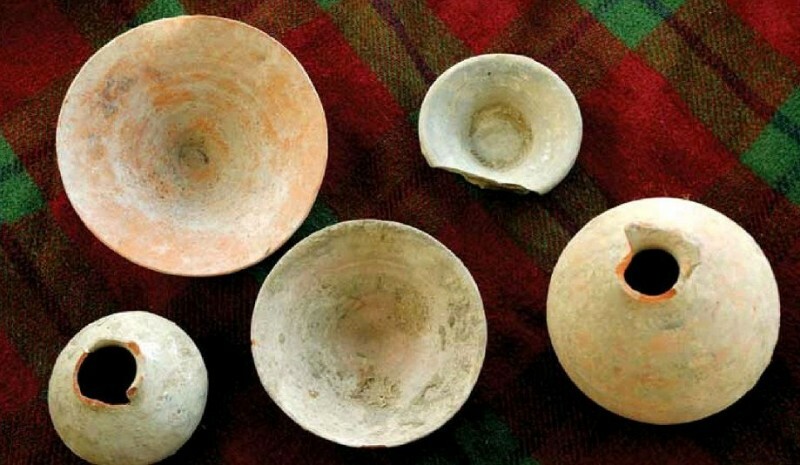 Recent excavations at the newly discovered and pre-existing mounds have also revealed a cornucopia of ancient artefacts including terracotta bangles; pottery pieces; a seal and a pot shard, both inscribed with the Harappan script; pot shards painted with geometric designs; and terracotta animal figurines, all belonging to the Mature Harappan phase of the civilisation. In addition, five trenches around the mounds have revealed residential rooms, a bathroom with a soak jar, drainages, a hearth, and a platform, all built with mud bricks. A burial site, with 11 skeletons with their heads in the north direction, was dug out too. Utensils for everydy use were kept near their heads. Three female skeletons had shell bangles and a goldarmlet was found near one. Semi-precious stones were found too, showing they were part of a necklace. One of the mounds found here also shed light on the Harappan’s occupational inclinations as it showed large scale burning, indicative of metal smelting and the use of furnace technology. Archeologists also found copper slags here, which mean that this part of Rakhigarhi was an industrial area. This finding is significant because though it was known that Harappans were industrially advanced, but there was no earlier evidence about the kind of technology they used. “Rakhigarhi was occupied during early Harappan times as we have found eveidence of paved roads, drainage system, large rainwater collection, storage system, terracotta bricks, statue production and skilled working of bronze as well as precious metals. Jewellery, including bangles made from terracotta, conch shells, gold and semi-precious stones, has also been found. In fact, the site lies at the centre of Ghaggar Basin, the Harappan civilisation’s (2600-1900 BC) most densely populated region,” share Prof. vasant Shinde, senior archaelogist heading the excavations at Rakhigarhi. It was in 1963 that Rakhigarhi first appeared on the archaeologists’ map when it was identified to have the remains of Indus Valley Civilisation. It was in 1997 that the Archaeological Survey of India (ASI) took the mounds under its protection and followed it up with exacations between 1998 and 2001 to reveal a city larger than Mohenjo-daro and Harappa. The rest of the ancient Harappan site of Rakhigarhi still lies buried under the present-day village. New houses are coming up at Rakhigarhi, which is destroying a big part of the Harappan site. One-third of the site is under cultivation. Archaelogists believe that the beginning of the Harappan Civilisation took place in the Ghaggar Basin in Haryana, India and it gradually grew from here and slowly moved to the Indus valley. It was earlier thought that the origin of the early Harappan phase took place in Sindh, in present-day Pakistan, because many sites had not been discovered then. In the last ten years, Archeologists have discovered many sites in India, which are producing early dates and where the early Harappan phase could go back to 5000 BCE.